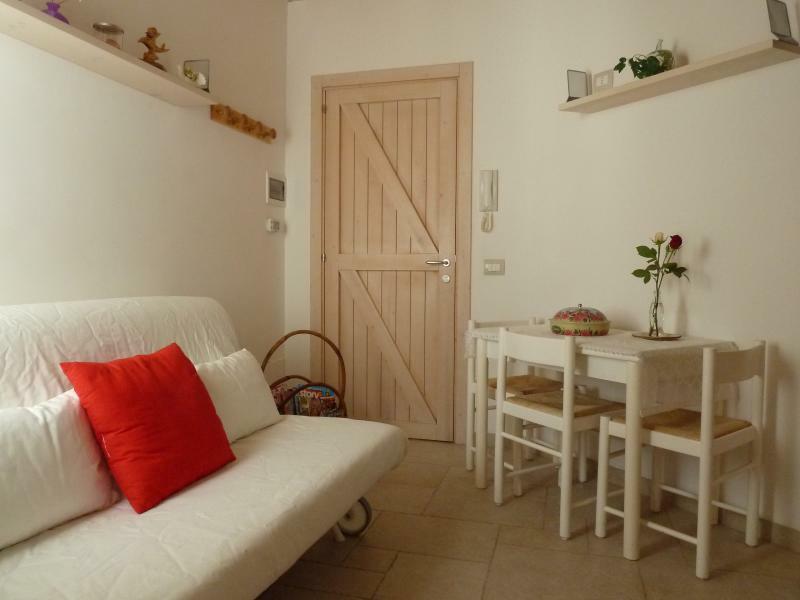 Charming 50 sqm apartment in the heart of the old town of Monopoli, with a beautiful view of the sea. 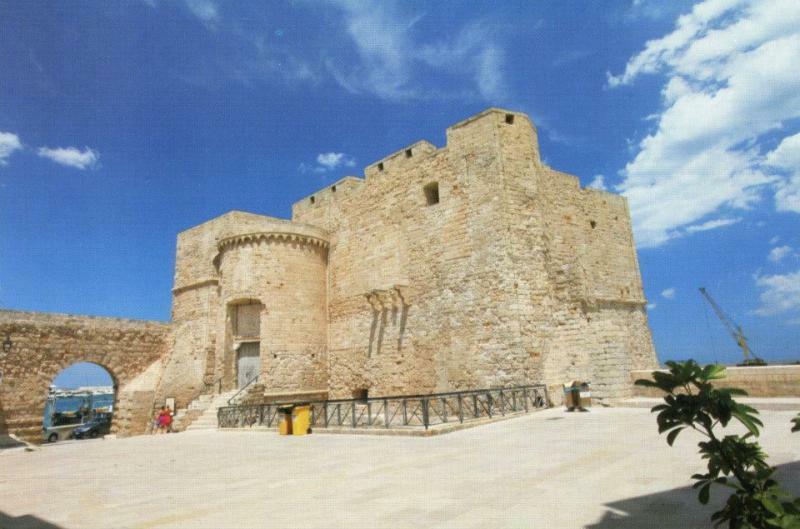 The house is 30 meters from the Carlo V Castle-museum, 50 m from sea. The location lets you live in complete peace and comfort, without using the car. It is located in the center of the old town and near historic squares, surrounded by noble buildings. The house has all the services you need at a short distance: supermarkets, fresh fish and fruit market, bars, shops, chemist’s, etc. 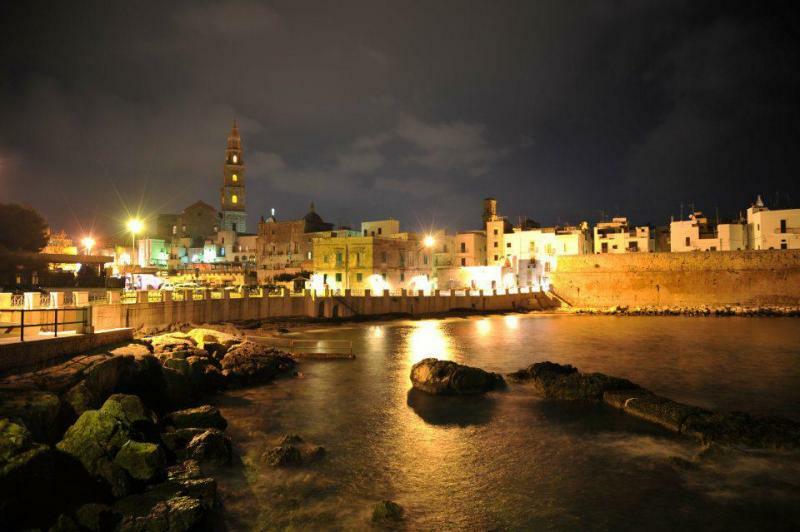 On the terrace, you can admire the harbor with its many vessels and the view of the sea that washes the Murattian walls. 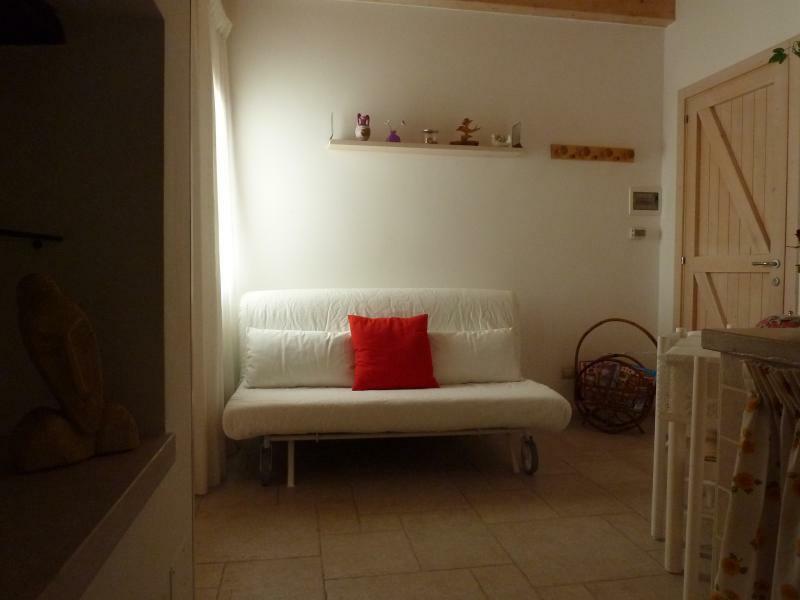 The house is the ideal choice for a holiday full of relaxation, sea and (why not?) nightlife. 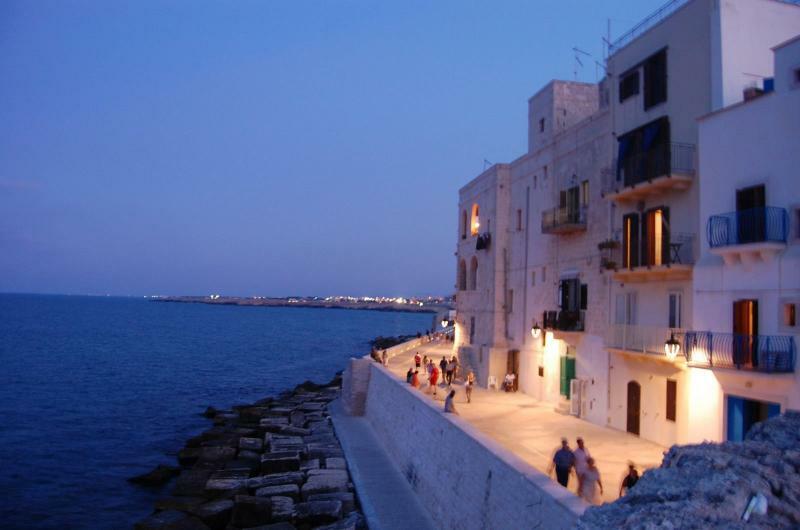 In the center there are many local trattorias, outdoor bars and nightclubs within walking distance from the house while, on the coast of Capitolo (location of Monopoli) discos and pubs for young people. IMPORTANT: The presence of a flight of stairs may be a difficulty for physically disabled people and/or children. So, to avoid unpleasant misunderstandings, loss of time or complaints, please indicate in advance tin such a case. 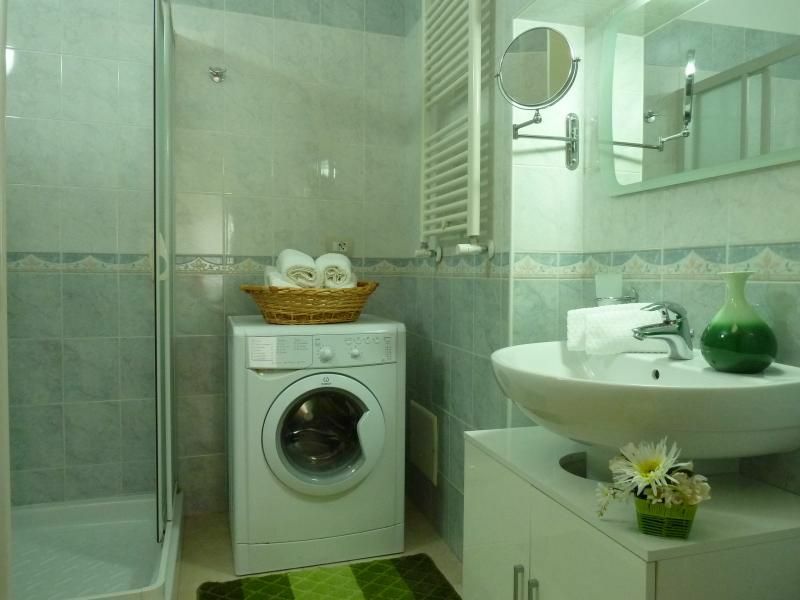 Appliances: Washing machine, refrigerator, gas cooker, electric oven, iron. 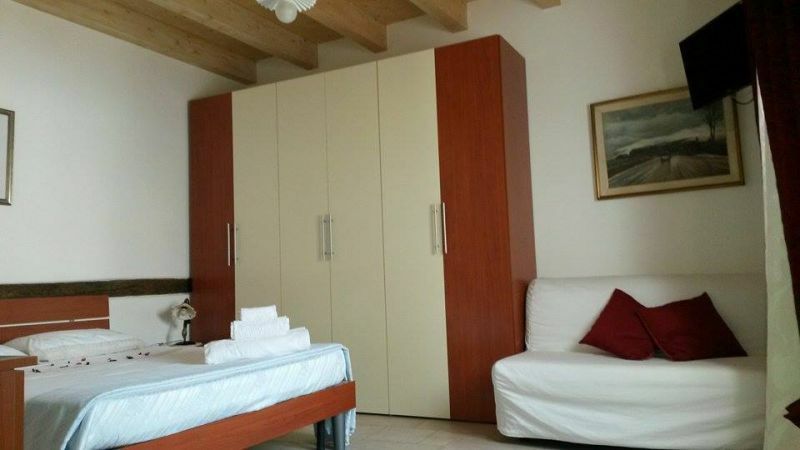 Other: Shower, heaters, 2 air-conditioners (in bedroom and kitchen), television, internet Wi-fi. 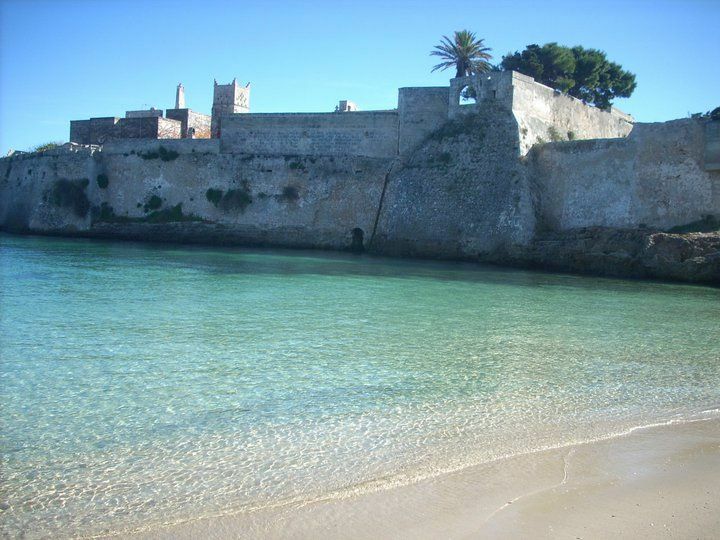 Off the property: There is a free parking lot near the castle of Charles V, both near the port. 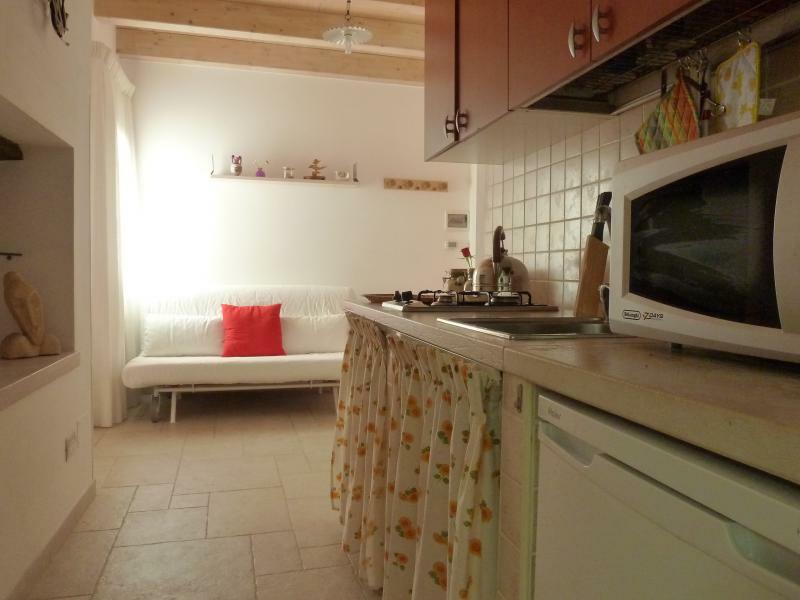 Distance from the sea: 50 meters from sea. 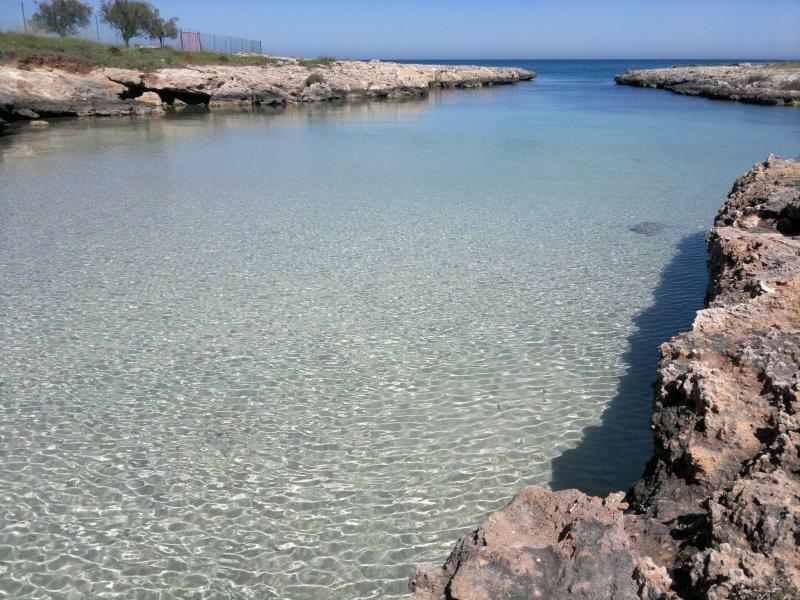 7 km from the long sandy beach with its dunes on the Capitolo (Monopoli). 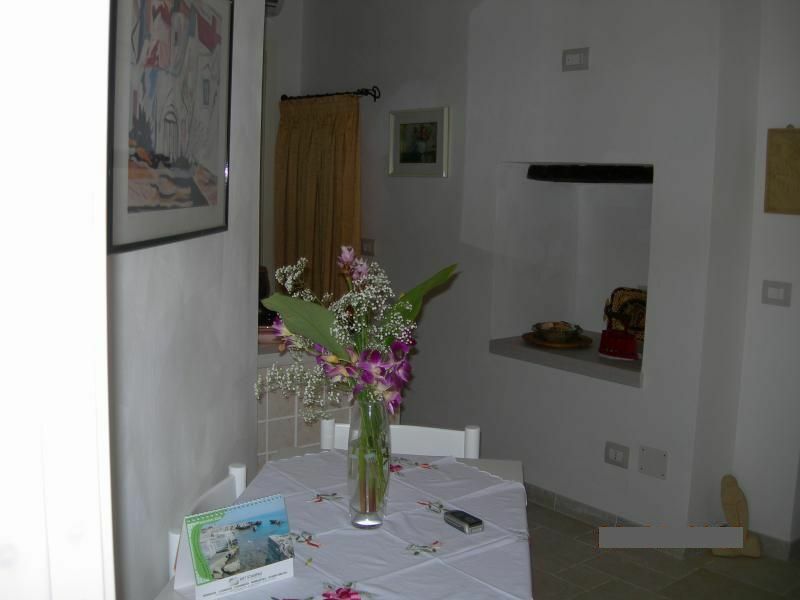 Neighboring sites of tourist-cultural interest: Valley of Itria with Ostuni the City Bianca (44Km), Cisternino (26Km) and Martina Franca (33Km), Zoo Safari of Fasano(19Km), Polignano a Mare (7Km). Archaeological sites: excavations of Torre Egnazia (16Km), Caves of Castellana (15Km), Alberobello (23Km) with its characteristic Trulli. Motorway A14 - Exit BARI - NORTH direction Brindisi - Lecce. 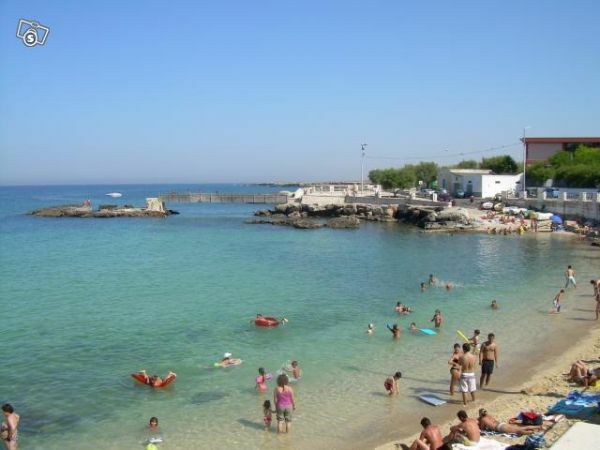 Is about 45 km from Bari and about 70 km from Brindisi, Monopoli connected to the main road network of the SS 16. The apartment is located near the Castle of Charles V, in the historic center. The apartment is exactly as you see in the picture, cute, cozy and comfortable perfect for two people but also wanting more. James, the owner, was extremely kind and helpful with us making us not miss anything! From the terrace, albeit shared, you can enjoy a beautiful sea view and sunset .. definitely well worth exploiting. From where is the house is all easily accessible on foot. The machine, however, can be parked in the harbor and only three minutes from the apartment. 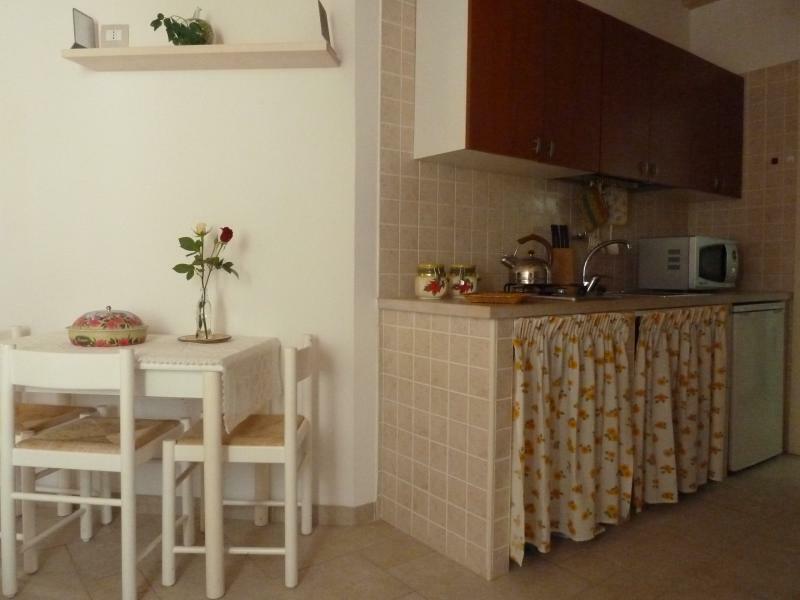 Excellent quality / price ratio, highly recommended to anyone looking for a pleasant and enjoyable holiday in Monopoli! 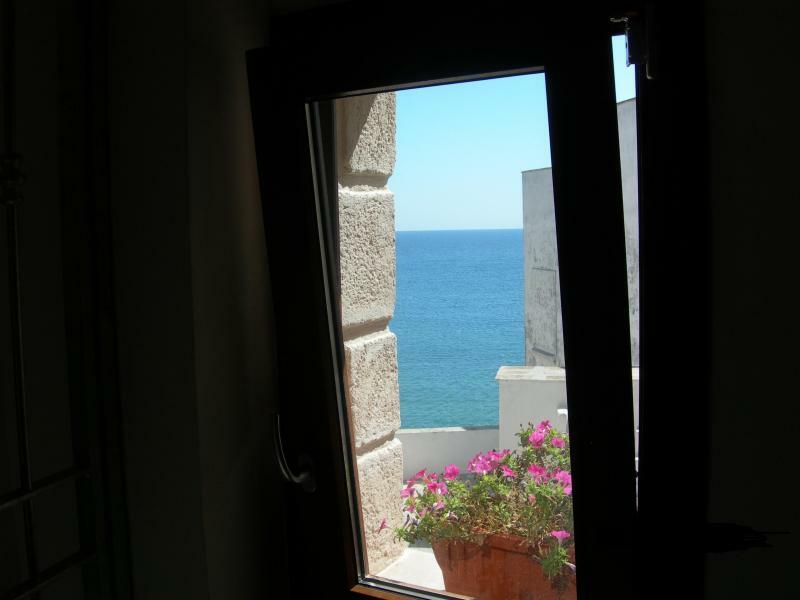 From the terrace you have a wonderful view of the sea, but there is no direct access from the apartment but a small, narrow staircase. The owner is very friendly, reliable and cares. 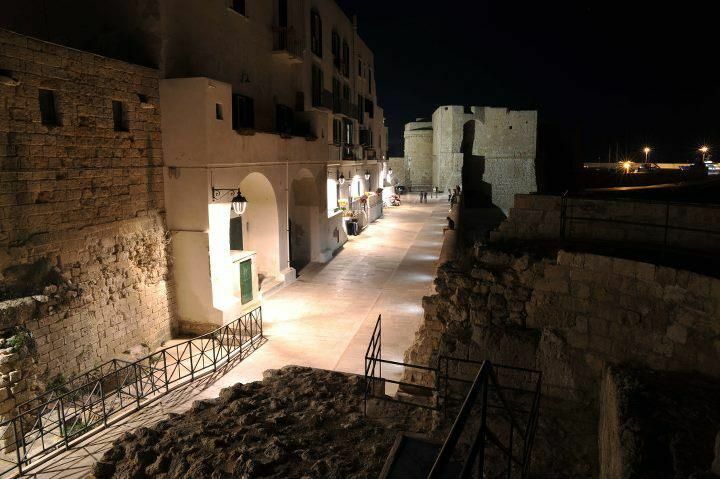 Very nice location, in the middle of the historical center of Monopoli. We really enjoyed our stay and especially the spacious, lovely terrace (always sun and shade). One slight problem: we were previously unaware that we had to pay ? 30 for final cleaning. Great holiday! 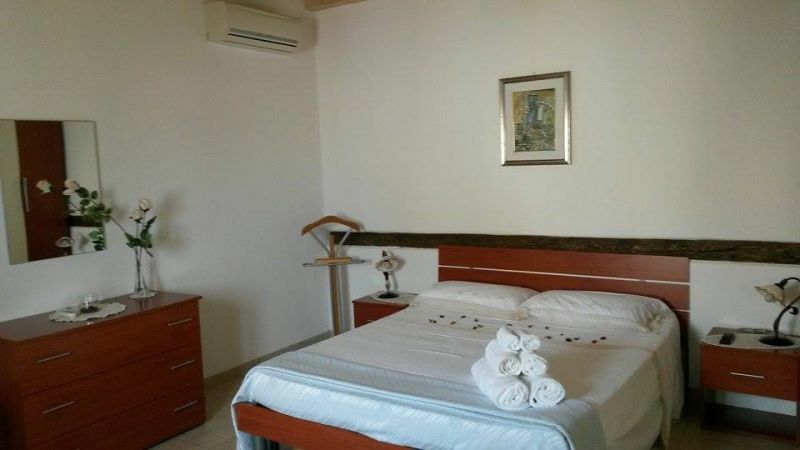 The apartment is comfortable and clean, equipped with everything you need. 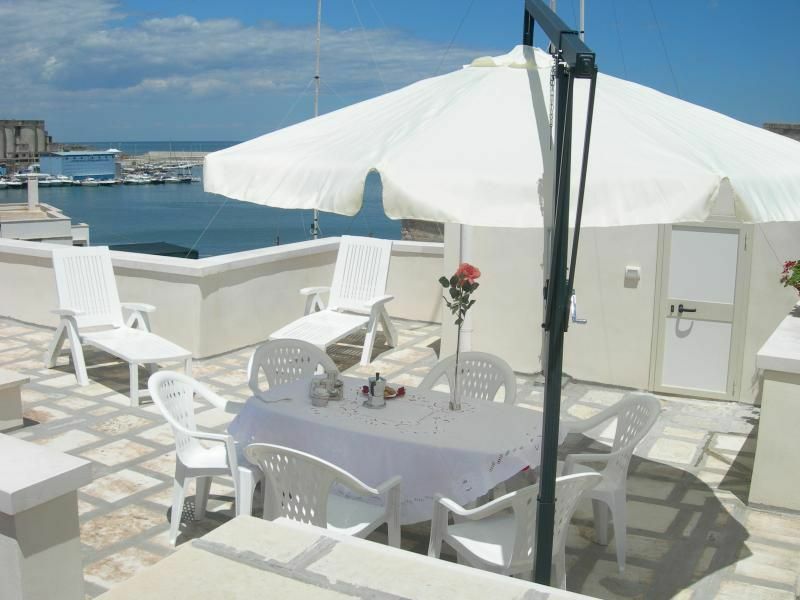 Large terrace overlooking the sea, where you can spend pleasant moments. High availability and courtesy of the owner. Really recommended. 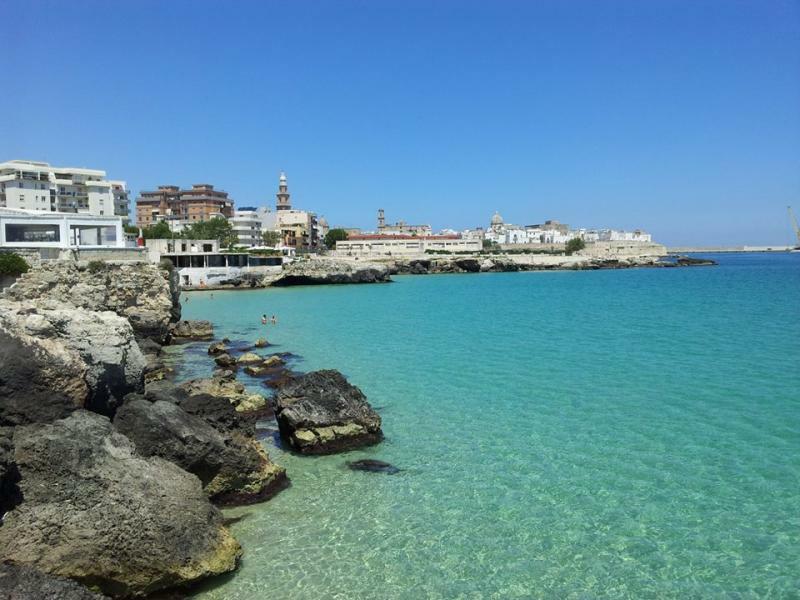 Nice little apartment, well equipped and cared boasts a beautiful sea view Located in the beautiful historical center of Monopoli, 2 steps from the Castello Carlo Quinto and 5 minutes walk to the beach, restaurants and small shops. Ideal for an unforgettable family holiday! Bella Monopoli! 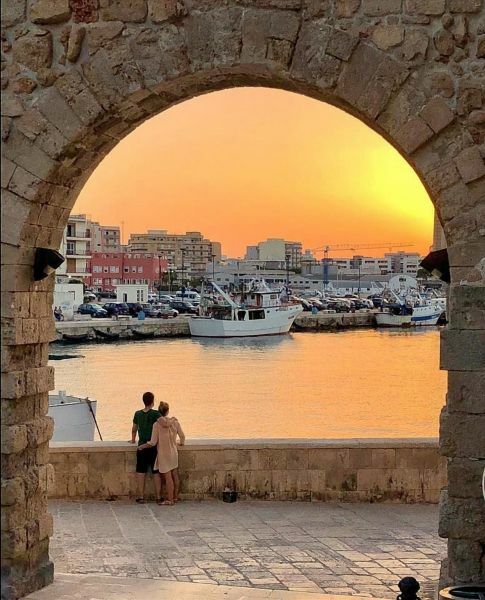 Monopoly is a beautiful, small town right by the sea with a pittoresque, historic center and warm, friendly people That will make you forget your worries and your every day life in no time. The whole region Has a lot to offer. Apart from all the small beaches you will find a lot of nice places to discover in the area, whatever your wishes may be. I can only recommend this appartment to anyone and I know for sure That I will return! The following prices include consumption of water and gas. Electricity according to consumption EUR 0.30/kwh (if the latter exceeds the standard consumption). 30% downpayment required on booking. Optional: Bed linen and towels: €10 per person.